The PMP course tells us that requirements in a project must be documented, tracked, controlled, validated and verified. Scope management plan is one of the project management plans, which has this objective because it also included how to collect requirements and how to balance stakeholder requirements. Requirements traceability matrix is a project document, which also helps to track the requirements over the life of the project to ensure they are accomplished. 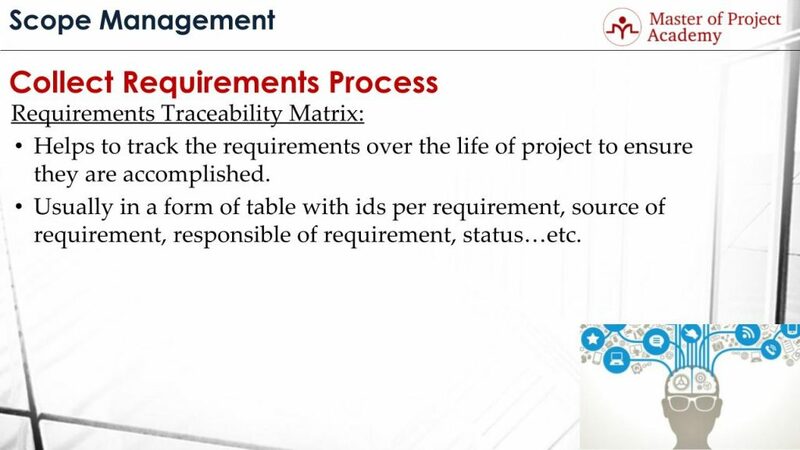 Requirements Traceability Matrix is abbreviated as RTM. In this article, we are going to explore what Requirements Traceability Matrix is according to project management certification courses. What is Requirements Traceability Matrix? Each requirement is written down in the Requirements Traceability Matrix. Its evolution, how it is fulfilled, which deliverable fulfills the requirement etc. can be seen in the Requirements Traceability Matrix as well. 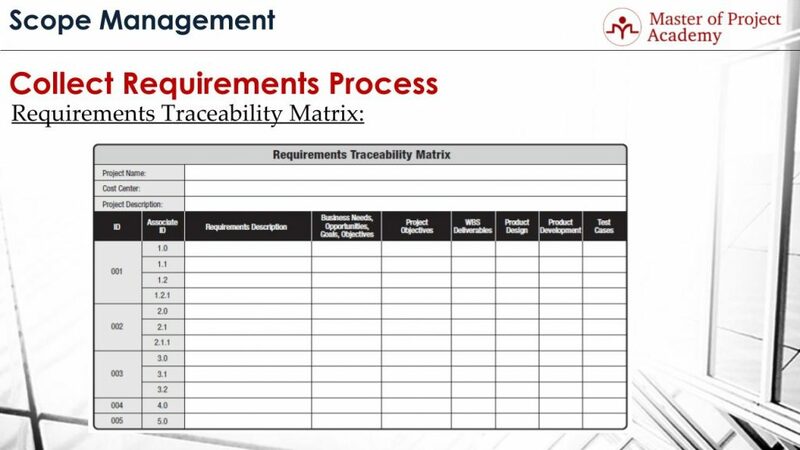 What is included in Requirements Traceability Matrix? 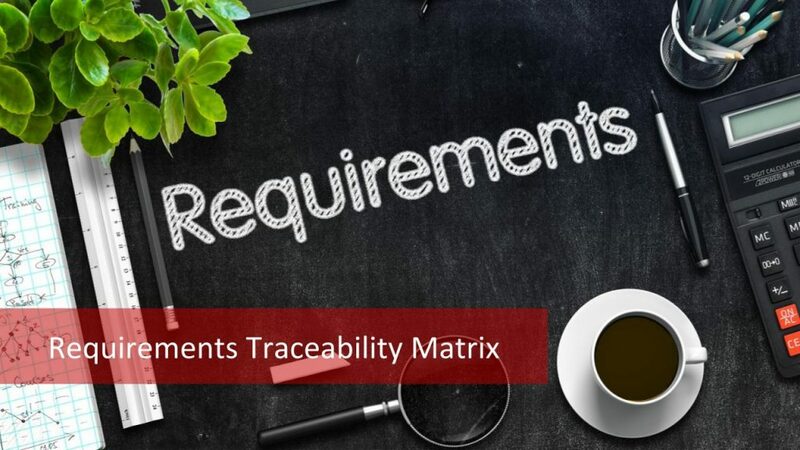 Requirements Traceability Matrix is usually in a form of table which includes IDs per requirement, source of requirements, responsible for requirement, status…etc. Most of the corporate companies have a template for Requirements Traceability Matrix and requirements are tracked over RTM throughout the project starting from project initiation until project closure. This figure below shows a sample requirements traceability matrix. As you see the top 3 rows show high-level information about the project. Project title, cost center, and project description. Now let’s see each column of the RTM and their objectives one-by-one. Project title and project description can be seen in project charter as well. The cost center is a new concept. In the corporate companies, project costs are generally controlled by cost centers. Procured materials, the cost of resources, expenses are accrued in this cost center. Also, the budget provided by the sponsor is tied to this cost center. 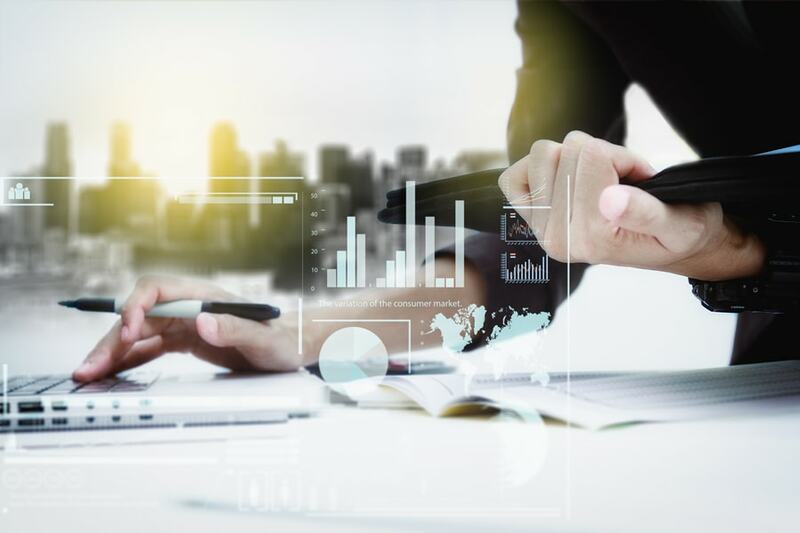 Finance team sees and reports inflows and outflows from this cost center and last status of the budget is controlled with the help of this cost center. ID and associate ID are numbering to identify requirements in the requirements traceability matrix. Requirements description area gives detailed information about the requirement. For instance, the system must support 1,000 concurrent users at a time. Business needs, opportunities, goals, and objectives column depicts the relationship of the requirement with these aspects of the project. Project objectives column shows which objective will help in fulfilling this requirement in the project. WBS deliverables column shows which deliverables of the project will fulfill the requirement. Product Design and Product Development columns show the requirements tie with the technical aspects of the project. For instance, 2 servers and 4 processers can be written here if these will suffice the 1,000 concurrent user’s performance requirement. The last column, test cases, shows how this requirement will be tested once the regarding deliverables are completed. For instance, a test load tool can simulate 1,000 concurrent users traffic on the system to check whether this requirement has been fulfilled. The Requirements Traceability Matrix is an important part of Scope Management as it aims to track the requirements. If requirements can not be documented and tracked properly, the scope of the project will have the risk of being faulty and if the scope contains error or deficiencies, that would create the risk of failure of the project. Define Scope Process: How To Finalize The Project Scope?